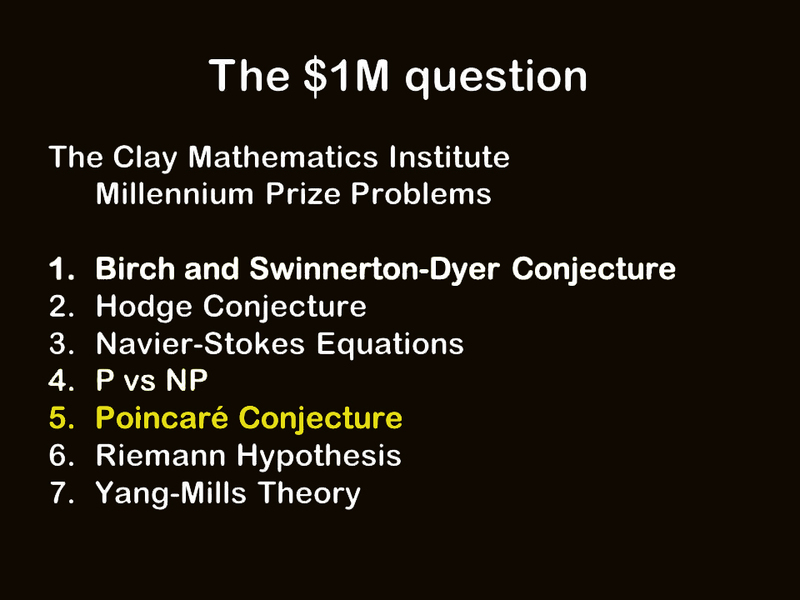 The Millennium Prize Problems are seven problems in mathematics that were stated by the Clay Mathematics Institute in 2000. As of November 2015, six of the problems remain unsolved. A correct solution to any of the problems results in a US $1,000,000 prize sometimes called a Millennium Prize being awarded by the institute. 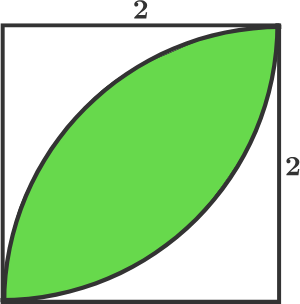 Solved problem :- Poincare conjecture. 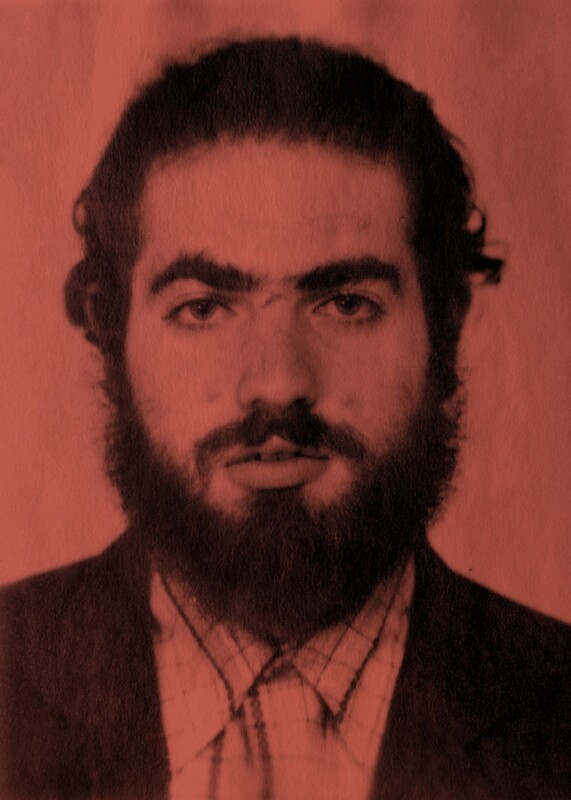 Grigori Perelman is a recluse Russian mathematician who solved the Poincare conjecture and in July 2010 he declined the 1 million dollar prize. Furthermore, in August 2006, he declined the Fields medal which is considered even more prestigious than the Nobel Prize as it is given every four years to a mathematician under the age of 40. The Nobel Prize is given every year with no age limit. Today, Perelman lives in poverty with his mother in Russia. He recently said- I’m not interested in money or fame. I don’t want to be on display like an animal in a zoo. I’m not a hero of mathematics. I’m not even that successful; that is why I don’t want to have everybody looking at me.